TrackMySpeed is a free application that track ones route. It uses location services for so. This app can run in background as well and allows user to perform other tasks even. • Start, pause and stop tracking location. • Change setting to set the time interval to get traveling location records. 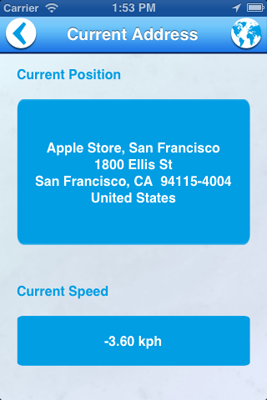 • See current driving or position status with speed and address. • see current location on map. • Check track records where he has traveled. Though option is available to clear records. • Run the application in background state. • See his location in Map by click on respective record. • Share with Facebook, Twitter or Mail. • Share previous track records via mail service. • Button Track Record on Home Screen provides captured track records in tabular form which includes speed, distance and location as per individual track record. • Clicking on particular table row will direct to that respective location on map. • This screen is facilitated with Clear and Mail Button as well. • Clear button clears all captured records. • Mail button shows mail composer with pdf attachment of your track records. 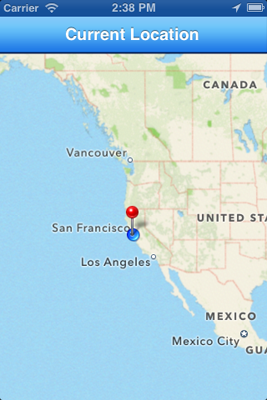 • Current Status Button on Home Screen provides Current Position and Speed, this position can be viewed in Map. 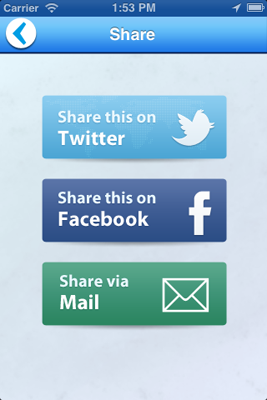 • Share Button on Home Screen allows user to share this application on Twitter, Facebook or via Mail. • Home Screen accommodates Settings button, which includes capture interval time duration. • Start Tracking button begins to track location as per captured time interval. • Pause button pauses the count for current captured record and stop button resets it. 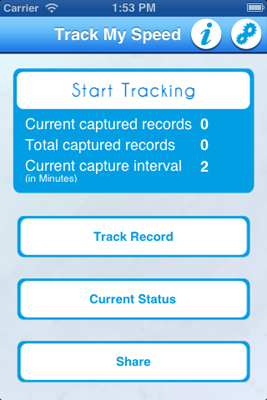 • On home screen you can also see current capture records, total capture records and current capture interval. User can start tracking, and check current status,track and share records. User can set tracking capture time interval. 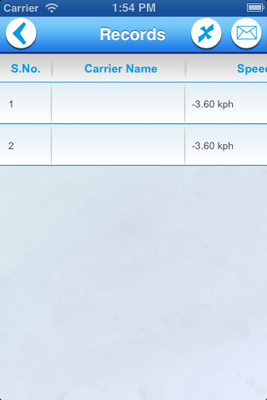 User can view his current location and current speed. User can share current location and details using facebook, twitter and mail. User can View his tracked records. User can view his current location on map. 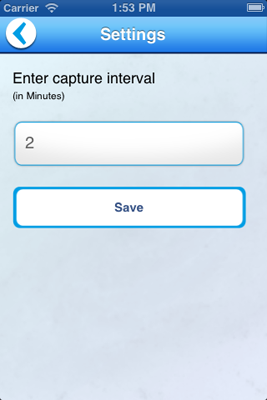 User can set tracking capture time interval..